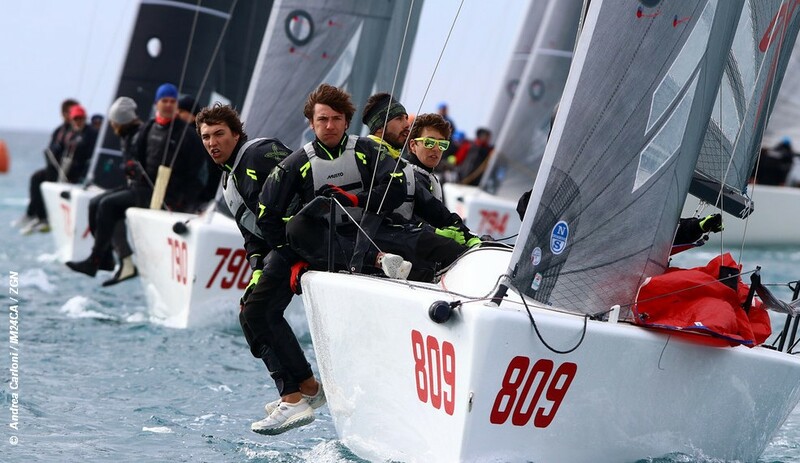 Three races were completed on the opening day of the Melges 24 European Sailing Series in Portoroz, Slovenia, on Thursday. Day 1 leader is past Corinthian World and European Champion Tõnu Tõniste’s Lenny EST790, followed by another Corinthian team of Sergio Caramel Arkanoe by Montura ITA809. In third place is 2018 Melges 24 Corinthian European Akos Csolto on Seven Five Nine HUN759 who won the two other races completed. In fourth place is Britain’s Geoff Carveth on Gill Race Team.